- Date: 02/2014, Seed: $400 (post valuation: $4). 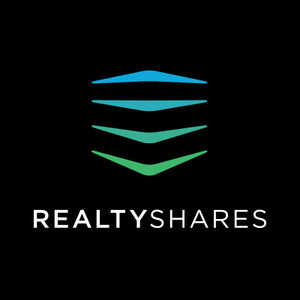 RealtyShares is an online investment platform that uses crowdfunding to pool investors into private real estate investments. Accredited Investor members can browse a variety of investment opportunities, review details on the investment and invest as little as $1,000. Execution of investor documents and fund transfers are handled securely through our platform, allowing investors to complete the entire transaction process through our site. RealtyShares targets both residential and commercial investment opportunities. Today we offer both fixed-income investments in the form of first-position loans secured by 1-4 unit residential properties usually yielding between 8-10% as well as equity investments in apartments, retail and office properties. Each investment property is professionally operated and managed by a dedicated Real Estate Company making the investment completely passive to investors. Co-Founder & CEO of RealtyShares, an online crowdfunding for real estate platform. Real Estate Attorney, Broker and Investor. Berkeley Law Valedictorian and former Engineer. RealtyShares was featured in a VatorNews article: "Commercial real estate marketplace CrowdStreet raises $3.5M"
RealtyShares was featured in a VatorNews article: "Funding roundup - week ending 4/10/15"
RealtyShares was featured in a VatorNews article: "RealtyShares raises $10M for real estate crowdfunding"
RealtyShares was featured in a VatorNews article: "eBay in talks to accept Bitcoin through Braintree"
RealtyShares was featured in a VatorNews article: "California passes law to legalize digital currencies"
RealtyShares was featured in a VatorNews article: "Funding roundup - week ending 4/18/14"
RealtyShares was featured in a VatorNews article: "RealtyShares now accepts Bitcoins for crowdfunding "